This week, Robert and I dig deeper into native advertising with discussions on the Wall Street Journal‘s new native launch and The Guardian‘s native play with Unilever. 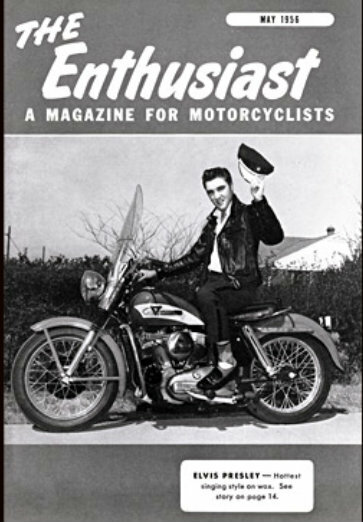 We also deliver plenty of rants about publishers and agencies, and rev up the show with this week’s This Old Marketing example: The Enthusiast from Harley Davidson. Wall Street Journal Launches Native Ad Studio (2:15): On the hunt for more native advertising dollars, WSJ has launched its new “Narratives” program. Are publishers poised to become the new advertising agencies (contributing article: AdWeek)? Why Unilever Is Turning to a Content-First Strategy (10:20): Unilever is now partnering with The Guardian on a seven-figure deal to promote sustainable business. 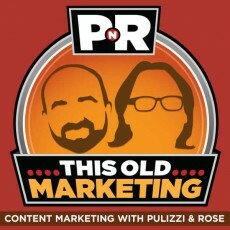 Good decision or wasted opportunity (contributing article: Content Marketing Association)? Why Native Advertising Is Here to Stay, but Must Be Transparent (15:00): “Caution: Sponsored Content!” Robert and I debate whether media companies are going overboard with how they label their sponsored content (contributing article: The Guardian with help from Spark Minute). The New York Times’ Publisher Says Print Will Outlive the Desktop (19:10): Is creating content for the desktop experience a short-lived strategy? The NYT publisher makes a case that mobile is king — and that print will be around much longer than what we now know as the desktop will (contributing article: AdAge). Publishing Mobile Content: The Return of the Native (24:00): Mobile revenues are ready to jump onto native advertising spending at an accelerated rate (contributing article: ClickZ). What Publishers Can Learn From Upworthy (30:45): Importance, satisfaction, and quality are the three measures that Upworthy focuses on… in addition to a new metric called “attention minutes” (contributing articles: eMedia Vitals, and a supporting article from LinkedIn on an editorial mission for brands). The Five Phases of Content Marketing Maturity (37:15): Gartner outlined the five steps of content marketing maturity, but Robert says they are in the wrong order — the mission must come first (contributing article: Forbes). Is the new viral sensation of “strangers kissing” by Wren content marketing or clever advertising? Robert and I will be presenting PNR Live at Content Marketing World Sydney, sponsored by King Content, as part of the opening reception for our second annual event. We hope to see you there!